I'll be sure to look through my cards over the next 3 days (my weekend) and see if I have any you need and vice versa. Glad you finally got them out and sorted! Let's see, my collection goes up to 514. So I need RS515-690. For my Rider collection, I need RK332-335. 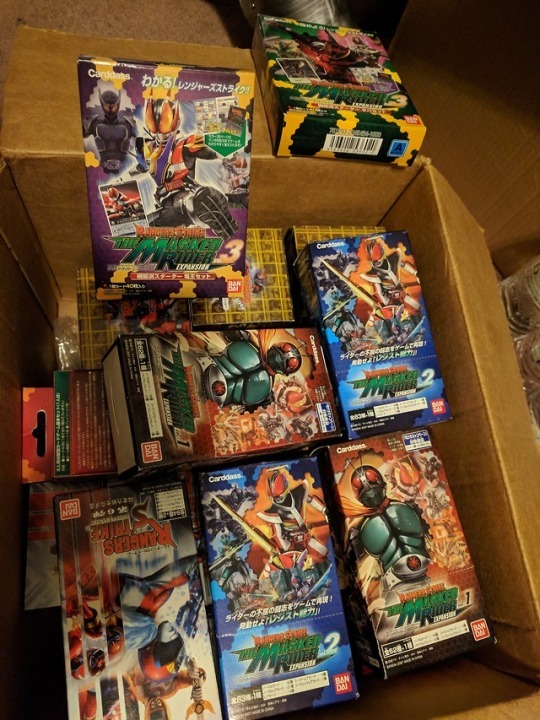 I don't have any Metal Heroes stuff, but that's okay, I don't care about that hehehehe. Did you get the special Rider Belt set? I have 1 duplicate from it. Finally,do you have any of the X-Gather cards? The later sets combined Sentai, Riders, Metal Heroes, and a sprinkling of other Toei heroes, hence the name Cross Gather. They're still Rangers Strike cards and have the same card backs. I believe set 7 was the final set, which goes up to Gokaiger and OOO. My stuff is unorganized. I'll check what you have that I need in the next couple of days. If you have extra commons, especially from the early sets, I'm missing quite a bit. Last edited by BuraddoRun on Mon Apr 15, 2019 1:33 pm, edited 1 time in total. I think I more or less have a complete collection of commons from volumes 2-7. I haven't had a chance to sort through my Rider cards yet, but I think I have most of the commons for those. 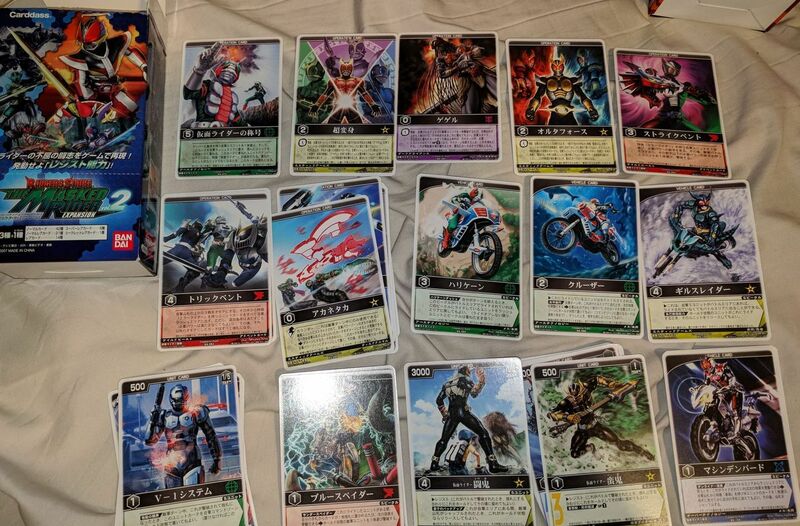 I don't have any Cross Gather cards but I'd be willing to trade for them or buy off extras from people. I couldn't find a good comprehensive list in English so I set one up on our wiki. Dunno if people will find it useful. I still need to do Rider and Cross Gather's lists. Edit: I also fixed the Rider list in the opening post. For some reason it was missing info from the last half of it. I must have found some more cards or noted them down inappropriately the first time. As for mine, I'm pretty sure all of my extra rares are Normal Rares, the ones with stars beside the card number. There are also rares (with gold etching), super rares and secret rares (foil cards). So here are the rares I have that you need according to your list. And I have 72 commons you need (not including the metal heroes) that I listed above, mostly X-Gather but a few RS. 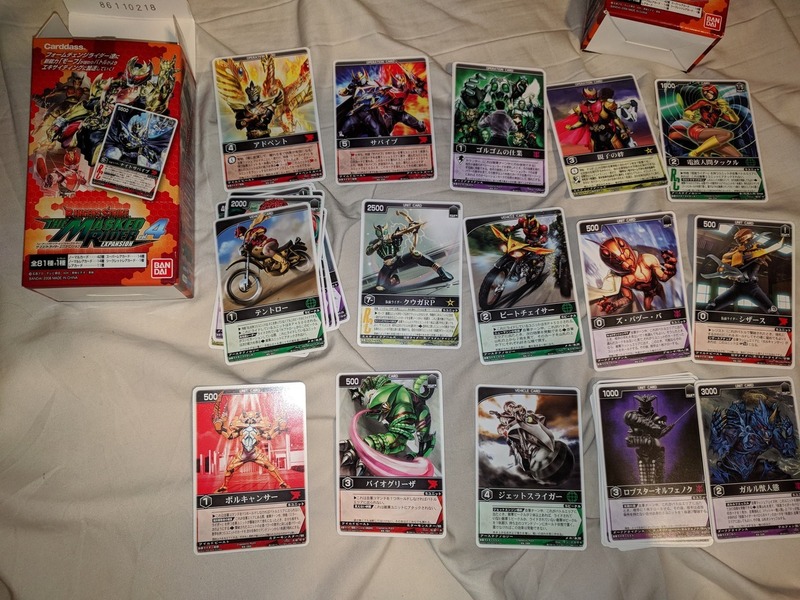 I'm more of a Sentai than Rider fan so I didn't really look through your RK duplicates. I'd be willing to do a straight trade: my 6 rares, 3 promos, and 72 commons for your 7 rares and 41 commons. Your rares are a mix of normal rare, rare, and super rare, though. I don't mind throwing in extra Metal Hero cards from my side. Let me know, and thanks! It turns out I have a lot of the early sets after all. I'm missing more in sets 5 and up than I thought. No worries, I kept you waiting for like 4 months? Sounds like a fair deal to me. I'll send you a PM with my mailing address. Edit: Oh yeah, that link is awesome. I'll plug it on the wiki. Oh yeah and I placed my extra sets on ebay in case people want a start on their collection. Awesome! I'll PM you my info as well.